The first challenge is worth 3.5 points for winning and costs 0.7 points for losing it. The next challenge is for 3 points for winning and 0.75 for losing it. The Final challenge gives 2.5 points for the win and 0.83 for losing it. Brad and Sarah’s physical game has no competition for who is the best, as I think Brad’s game was the fourth or fifth best of all time, but Sarah won for her superior strategic game. For the New York Post Gregory E. Miller wrote a ranking of the first thirteen films here. http://nypost.com/2014/08/13/a-rundown-of-the-best-and-worst-the-land-before-time-movies/. These have even been mentioned in a few of the Wikipedia articles. We gave he first, second, eighth, and thirteenth films the same rankings, even if fourteen is not counted. Also our rankings of five, eleven, and twelve were really close. We disagreed the most with films six, seven, and nine. For The Secret of Saurus Rock he called it “boring and uninspired.” I personally do find it exciting and inspired, but it has plenty of padding, so I can see people finding it boring easily. The worst part of his article is his review of seven, which is just briefly insulting the name “rainbow face” ignoring its allusions to alien beliefs, and the rest of the film. His review of nine makes it obvious he loves underwater scenes in movies, and I personally did enjoy the underwater scenes in Nine, but I prefer them in Finding Nemo and Pinocchio. His rankings are an alternative to mine, and the only complete ones I can find online, though they are all a paragraph long at most (except for thirteen, which got two paragraphs), and overly short for my taste. The first challenge was worth 4.5 points for the winner (Aubry). Everyone else lost 0.64. After that Brad won 4 points next challenge. Everyone else lost 0.67 points. Andrea has played the best physical gam of any woman ever. Brad is clearly the biggest physical threat left, with Aubry behind him, and she has been on a role lately. Tai and Troyzan did well at the start, but since then have greatly faltered. 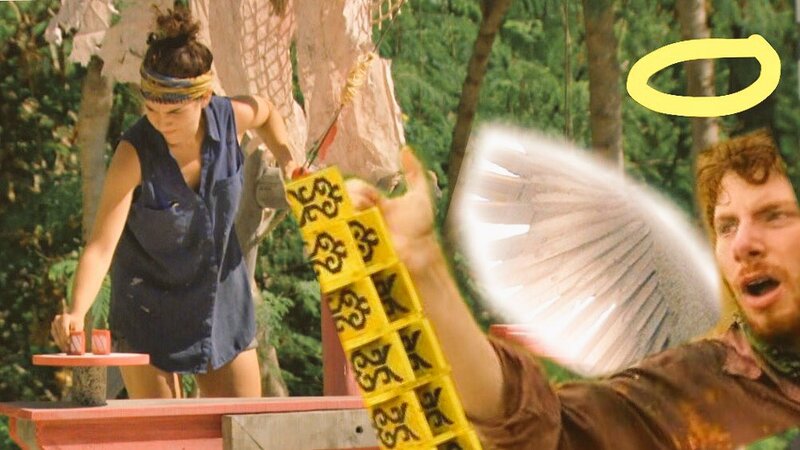 Expect the next challenge to be a duel between Aubry and Brad fro immunity with the loser likely being voted out. 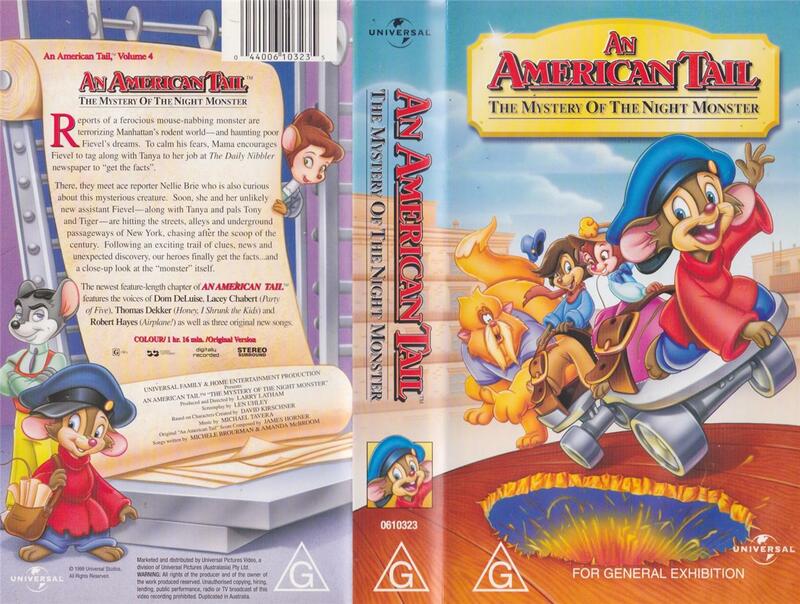 First thing is this could be more accurately titled An American Tail I 1/2, as they made the very understandable choice to be a sequel in New York instead of the Wild West. Fievel’s American Tails was a TV show that came out to directly after the second movie, and it stank. Also the first film made considerable more money despite four years of inflation and renewed interest in animation, so it takes place in New York and is modeled after the first film. Both the franchises’s wiki and TV tropes says this movie recons the second film, but that is false. 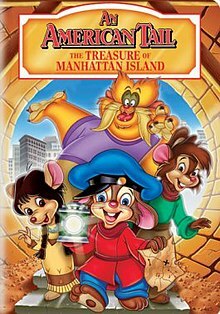 The second movie started with Fievel dreaming of being in the Wild West and being a famous gunfighter, which is way more accurate to the opening dream of the second film than the actual second movie. That gives it a connection to both films. 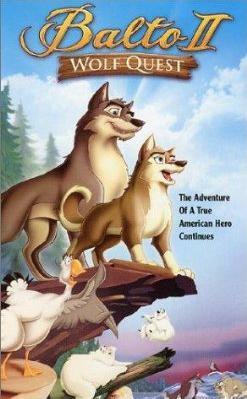 It is directed by Larry Latham (nothing else important) and written by Len Uhley (writer of The Land Before Time Seven). I heard (with an unreliable source) that The Land Before Time Six The Secret of Saurus Rock was supposed to be the last Land Before Time film, and both an American Tail DTV sequels came out with two Alvin and Chipmunk movies cam out within two years. Considering they went back to The Land Before Time so quickly after these came out I think that production liked making Land Before Time films more. The commercials are very similar to those in The Land Before Time Six only it has one for October Sky. The first song is “We Live in Manhattan,” and this song actually really sticks out for the studio. Unlike The Land Before Time, An American Tail is a musical, in fact this film got accused of using too few songs. Also this is a crowd song, and I just counted that four of the forty-four songs in The Land Before Time franchise are crowd songs. The song itself is really forgettable unless the viewer already knows the plot, as they sing about how happy they are to work, which will be contradicted later. When it cuts to the family more good news, they got most of the actors back. Papa, Mama, Tony, and Tiger all have heir actors back leaving Fievel and Tanya as the only exceptions. This is Tanya’s third actress, so it is not like that is new. For Fievel they cast Littlefoot’s singing voice from the fifth film and full voice all the way to Nine, Thomas Dekker. That does not make it a good choice, as Littlefoot like Dekker’s voice is less assertive and more meek. Ironically Dekker’s Littlefoot in the sixth film is more like Fievel than he is in the next An American Tail film. The basic plot is first revealed that the working conditions are too hard (they had fourteen hour days then), and Papa is overworked along with most of the blue collar workers. This scene mainly works due to how it obviously does take a toll on the family, yet they are still proud Americans due to America’s many chances to get ahead. If someone is not an American I think they will not care for this much mostly because it is very American dream focused and loses the parts from the first film about being foreign immigrants. Also I keep unintentionally playing the game of guessing whether the music is from the first film (“Somewhere out there” plays frequently) or which Land Before Time movie. Fievel, Tony, and Tiger then find a treasure map (and remind me that the old subways were powered by a fan). Some fans have wondered why Tony is hanging out with little Fievel, but I always just presumed that saving the mouse population of a city brings very good friendship bonds. They bring it to Dr. Dithering who realizes it is from the Delaware Indians. His assistant is a fat mouse named Scuttlebutt. Why do you love names that are so hard to spell Uhley? First Pterano and Sierra and now these two. Scuttlebutt’s grumpiness is pretty funny, and they decide to go on a treasure hunt for whatever is down there, but Tony quickly realizes he is late for work, and the main villains, his and Papa’s bosses, are introduced. The lesser villains want to fire him, but the main one (middle of course) wants to keep him around thinking it will make him the definition of punctual if he gets to keep him job. Yes robber barons are the villains, and they are mice, not cats. Earlier mice were immigrants and cats were established Americans, so I guess with the old rich gone thanks to Fievel these guys took over. It is later established they also took a week’s pay from him, and then shown that they own the police and Scuttlebutt. Also they have an overly long scene about getting Mama to let Fievel go look for the treasure. Thus Tiger, Fievel, Dithering, Tony, and Scuttlebutt are going. 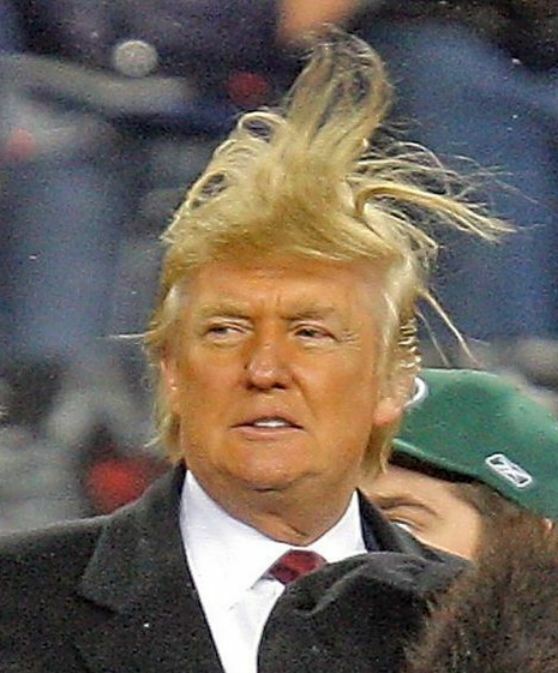 No wonder he hates his boss if that is what he constantly has to do. At least Fievel constantly encourages him. They then get stuck in an exciting and comedic booby trap scene, which is probably too cartoony. The best part is Scuttlebutt giving his boss all the supplies and leaving until he realizes the supplies are a great shield. They eventually get through and find an underground Indian civilization. Based on the pictures I just saw of the Delaware tribes these clothes look accurate except for the feathers. The chief discusses how they hid to avoid the upper worlds greed from the Europeans, and in a nice touch Scuttlebutt yawns throughout it. One criticized aspect is that Tony was falling in love with Bridget in one, and in a cameo he was showed married to her in two. In this film he flirts with Cholena, the chief’s daughter. I explain this as he temporarily broke up with Bridget, and then they got back together. The Indians give them a feast, but Scuttlebutt is caught stealing food. At least steal potentially valuable items you idiot thief. Oddly if Scutlebutt was not prone to dumb mistakes and pushed around so much he could be a great villain. This leaves Fievel turning on his American ways considering them to be centered on greed. Cholena counters that the American Dream is great despite some not “taking it to heart.” The theme is advancing your own life is good, as long as it does not get in the way of others living their life. It is very basic to me, but definitely something everyone I know has problems with acting on. First problem is the main villains now have a complete monopoly, and when a worker speaks out against the new longer hours he is beaten by the police. This movie seems to have too much plot. Papa speaks against revolting and villains somehow interpret it as being against them. Yeah, how did these idiots get a monopoly? Well after showing Cholena enjoying New York dressed in some of Tanya’s clothes the main five villains are discussing plans as Scuttlebutt (clearly their second most useful member) told them about the Indians, but the police chief is certain his little army would beat them if they ever invaded, but absolute main villain has a plan that is actually good. Make everyone think they are being invaded, and they will be set up as the heroes who discovered and stopped it. Again teaching children that people in authority are likely evil is a good message they have to learn eventually, but the first film already taught it. They then sing a poor villain song. William Anderson wrote the first song as well, and he did not do a good job. They tell the workers about in an invasion from within New York, a young female spying on them, and traitors in their midst. They also appeal to it being their American duty, and the workers are off. The police lead them and hand out weapons. They also go after Papa, as Scuttlebutt told them he is harboring Cholena. Well Fievel got his escape ability from somewhere, and Papa gets away. Dr. Dithering is captured and surprised when Scuttlebutt does not help him. Next time carry some of the load you bad boss. Papa reunites with Mama and Tanya saying he will get help, and since help is not Gussie I assume she died between movies. Cholena is caught, but Fievel and Tony save her by… Smashing a window on the cops. More on that later. Scuttlebutt and the Robber Barons put Dithering on a trial to be made guilty, but Tiger (the help) saves him, and blows away members of the mob. This could be seen as contradicting Tiger’s cowardice in Two, except standing up to cats is no where near as heroic as standing up to mice, and Two just made that character flaw up anyway. The only problem is Tiger barks at first, which is just a terrible continuity nod. Papa then turns the workers on the Robber Barons, by pointing out how they have always been their enemies and are now trying to kill dithering. After escaping the villains send the police to destroy the tribe worried they will side with the workers in an uprising, and Scuttlebutt is forced with them as a guide, and Scuttlebutt and the chief are very funny together. Fievel, Tanya, and Tony are taking Cholena back underground, and Fievel always being the hero finds out how to skip the booby traps. The police go though them, but all live. These traps are nearly useless. 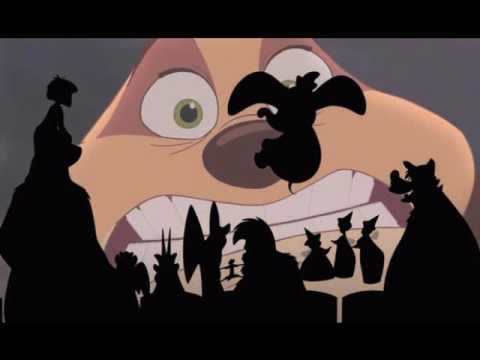 The chief is certain they will die, but through Fievel’s plan of throwing food at them the police all run off but the chief and Scuttlebutt who is being held back. Despite sounding dumb the food is nearly as big as the mice are, they are worn out, and they do not know the Indians have no normal weapons. New plan is Fievel, Tony, and Tanya will blow up the pathway, as the Indians can still return in a future date with other secret routes. They have little Fievel, nearly adult Tony, and in between their ages Tanya, so naturally little Fievel is given the job of using the match. Well, Scuttlebutt and the chief show up. Scuttlebutt is overweight and weak, while the chief is incredibly muscular so naturally Tanya and Tony double team the non threat leaving Fievel to face the powerhouse. It is no harder than facing Warren in the first film. In a fine fight scene Fievel beats him hard enough to regain the match and throw it at the fuse presumably killing the chief and Scuttlebutt in the explosion, which nearly kills Fievel. A universal workers’ strike organized by Papa and Tiger taking over as police ruin the Robber Baron’s power. This is too comedic of a tone for its dark plot, but at least it has some good comedy and a child friendly lesson on the good and bad of the American dream and economics that only has boring parts in the beginning along with a complex plot that always has something going at multiple angles. It is not as good as The Land Before Time II. It has inferior designs due to no dinosaurs and well inferior songs than what The Land Before Time franchise had been giving. I think it is around the quality of the eighth film in the series. On the bright side it does not feel like a Disney, but instead a Bluth like Universal Cartoon Studios film helping the studio to have an identity beyond The Land Before Time. There are 11 people left meaning the immunity challenge is for 6 points for troyzan and 0.6 from everyone else. Since Machaela sat out the reward challenge it is worth 1.15 per person. Andrea has increased her lead.